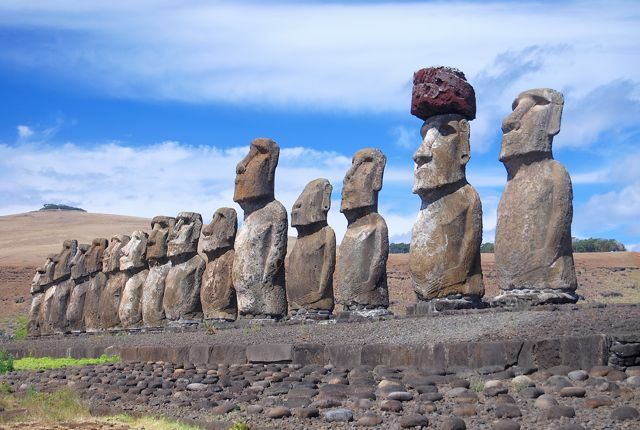 For most people, visiting Easter Island (better known as Rapa Nui to its indigenous Polynesian residents) is a once-in-a-lifetime experience. In the course of creating and updating guidebooks for Moon and another publisher best left unnamed, I have had the good fortune to visit the legendary land of the moai five times. 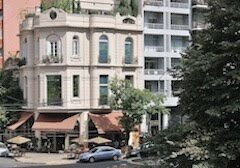 This November, in the process of updating Moon Chile, I will do so again. Though it’s usually three years between visits, I’ve always had the benefit of the biannual Rapa Nui Journal, whose latest issue arrived in my mailbox yesterday, to keep current with the latest information on the island. 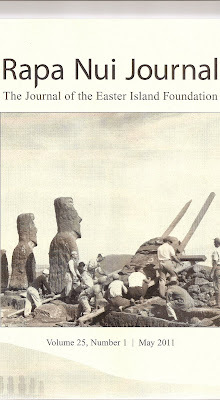 It’s a publication of the Easter Island Foundation, based in Los Osos, California, which also publishes a series of historical reprints and academic studies about the island and the greater South Seas region, including French Polynesia and Hawaii. 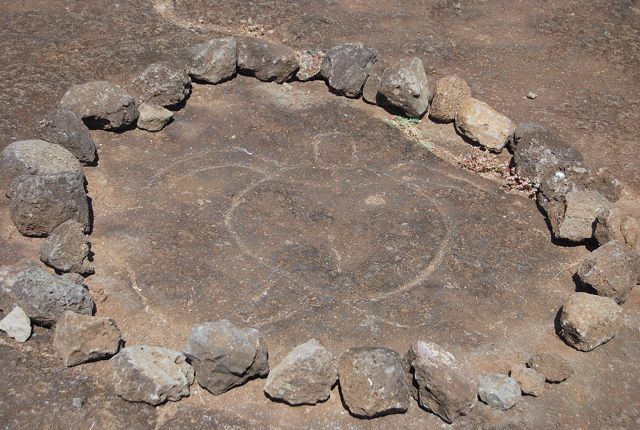 It’s the legacy of rock art specialist Georgia Lee, a UCLA-trained archaeologist whom I had the good fortune to meet for lunch at her house in Los Osos (near San Luis Obispo) last year.The sea turtle petroglyph below, photographed at Ahu Tongariki, is an example of her research interests. Georgia used to lead trips to Rapa Nui but, in her retirement, is no longer doing so. The California-based Far Horizons Archaeological and Cultural Trips, however, continues to organize such trips, under the leadership of first-rate archaeologists such as Sidsel Millerström and Steven Fischer, who deciphered the enigmatic rongorongo tablets. If you can afford one of their tours, which spend about a week visiting the sites and enjoying the islanders’ annual Tapati festival, which takes place in January. 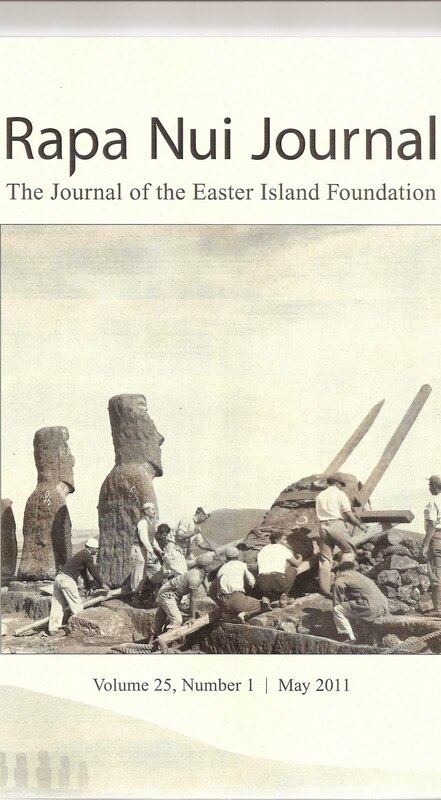 The Rapa Nui Journal, though, is not just for academic Rapanuiphiles. To be sure, there are data-driven, peer-reviewed articles such as that of César Caviedes and Peter Waylen (University of Florida) on the island’s climatic constraints, and a paleographic analysis of the Santiago Staff (a rongorongo tablet in Santiago’s Museo Nacional de Historia Natural) by Paul Hornley (Yuri Fedkovych Chernivtsi National University, Ukraine). At the same time, the Journal provides popular history notes such as David Maddock’s account of Roberto Parragué Singer’s 1950 flight from La Serena to Rapa Nui - the first pilot ever to cover the 2,300 miles from the Chilean mainland. There are also book reviews (including coverage of the Tahiti and Fiji titles written by my Moon colleague David Stanley), and local news items such as a land dispute over the Hotel Hanga Roa and reintroduction of the toromiro tree (long extinct on the island, it has survived in the national botanical garden at Viña del Mar). There is even a regular photographic feature on “moai sightings” - this time including an ice moai featured in winter sculpture exhibit in Anchorage, Alaska. Subscriptions to the Rapa Nui Journal cost US$40 per year, US$30 for students, libraries and institutions in the United States and Canada; for those resident elsewhere, rates are US$50 and US$40. All proceeds go to the Easter Island Foundation which, among other things, provides scholarships to Rapanui students for advanced academic studies.